Caves and caverns in the Vail area offer excitement and education. 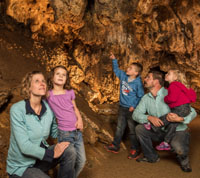 One of the Country's "Top 10 Family Cave Tours!" See All Activities & Cave Tours items in Vail Valley, CO.